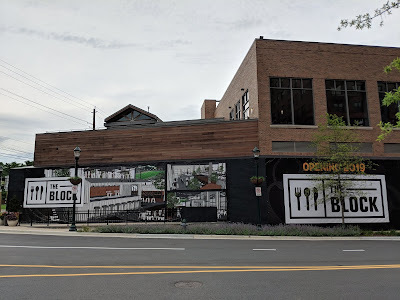 Large advertising screens for The Block, a highly-anticipated expansion of the popular Annandale Asian food hall, have been installed at its future Pike & Rose location. Posted along the facade of the building it will share with current tenant Pinstripes, the screens feature blown-up images of the renderings of The Block's dining areas you saw recently on this site. 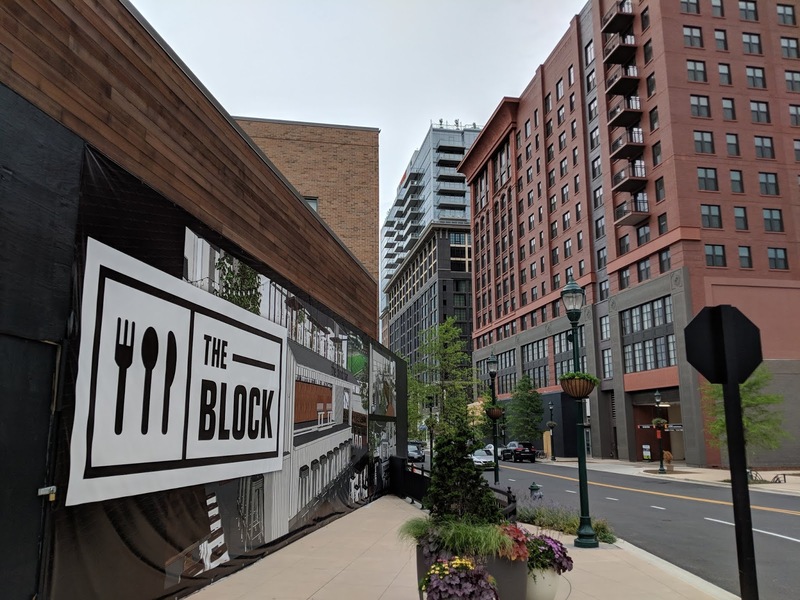 The Block is scheduled to open next year at the Federal Realty development.